Robert Edward Townes, age 89, of Cedar Springs, Michigan, passed away Saturday, December 2, 2017 at Green Acres Cedar Springs. He was born May 23, 1928 in Cedar Springs, Michigan, to James and Maxine (Winters) Townes. Bob, as everyone called him, graduated from Cedar Springs High School in 1946 and served in the Navy. He held many jobs in his younger days. Some of these included serving under his father as a deputy police officer and driving for Bliss Funeral Home. He was a long-time employee of Michigan Wheel, retiring after 38 years of employment. In 1952, Bob along with his father, James Sr. and Edward Townes, created the Cedar Springs Red Flannel Rod and Gun Club and was a lifetime member. He was also a lifetime member of the Grand Rapids Steelheaders Association. He enjoyed many years of hunting and fishing, especially on Lake Michigan. He will be fondly remembered for his smoked fish. One of the best around! The community of Cedar Springs was very important to him. 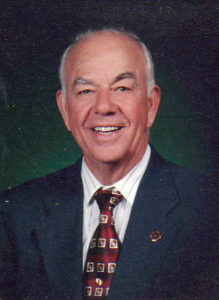 He spent many years coaching baseball and then could be found on the field or basketball court as an umpire or referee. His biggest commitment to his community was his dedicated service to the Cedar Springs Fire Department, retiring after 51 years of service. He passed this dedication to the Fire Department onto two sons and two grandsons. He loved to be a part of Red Flannel Days and enjoyed his last one on October 7th. There was always a pot of chili made for family and friends. Bob is survived by his devoted and loving companion, Delores Koopman; 7 children Christine Segard (Gordon “Doc” VanOtteren) of Cedar Springs and Grand Rapids, Victoria Cooper of Howard City, James Townes of Cedar Springs, Larry (Elaine) Townes of Six Lakes, Cheryl (Gordon) Pratt of Holland, Susanne (Rodney) Mosher of Cedar Springs, and Paul (Tami) Townes of Cedar Springs; he was blessed with 33 grandchildren, 46 great-grandchildren and 6 great-great-grandchildren, with one on the way; brother James Townes, Jr. of Reed City; many nieces, nephews, cousins and friends from Michigan and Florida. He was preceded in death by his loving wife of 49 years, Anna (Seaborn) Townes; parents; stepfather, Ed Grossman; sister and her husband; one granddaughter and one great-granddaughter. Bob attended the United Methodist Church in Cedar Springs, where his funeral will be held Thursday at 1:00 p.m. His family met with friends Tuesday 6-8 p.m. and Wednesday 2-4 and 6-8 p.m. at the Bliss-Witters & Pike Funeral Home, Cedar Springs. Pastors Karen Sorden and Michael Shiery officiating. Interment with military honors at Elmwood Cemetery, Cedar Springs. He will be greatly missed by his family. His memory will live on through his acts of service and his love of family. The family would like to express their gratitude to the staff at Spectrum Health Hospice and Green Acres Cedar Springs, especially Sonya Lovell. Memorial contributions may be made to Cedar Springs Fire Department, Cedar Springs United Methodist Church, Spectrum Health Hospice or Green Acres Cedar Springs Activity Dept. BUSAN, Republic of Korea (Oct. 13, 2017) — The Ohio-class guided-missile submarine USS Michigan (SSGN 727) (Gold) pulls into the pier of Republic of Korea’s Busan Naval Base as part of a routine port visit. The visit is to strengthen the already strong relationship between the U.S. Navy and the people of the Republic of Korea. U.S. Navy photo by Mass Communication Specialist Seaman William Carlisle. BUSAN, Republic of Korea–The Ohio-class guided-missile submarine USS Michigan (SSGN 727) (Blue) arrived at Busan, Oct. 13, for a routine visit during a regularly scheduled deployment to the Western Pacific. 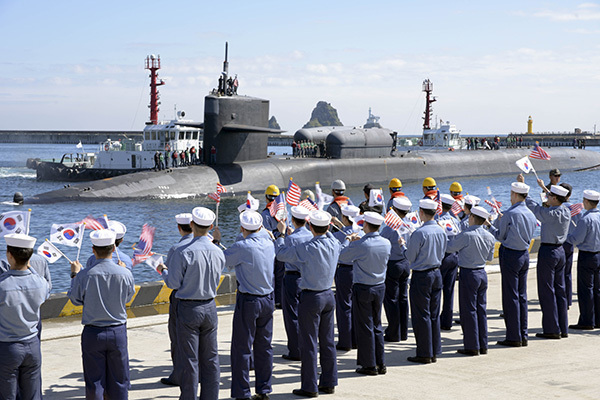 During the visit Sailors will experience the culture and history of the Republic of Korea (ROK), as well as foster outstanding relations between the U.S. Navy, ROK military and the local Busan community. USS Michigan is one of four Ohio-class guided-missile submarines. The Navy’s guided-missile submarines provide the Navy with unprecedented strike and special operation mission capabilities from a stealthy, clandestine platform. Armed with tactical missiles and equipped with superior communications capabilities, guided-missile submarines are capable of launching missile strikes and supporting Special Operation Forces (SOF) missions. Measuring more than 560 feet long and weighing more than 18,000 tons when submerged, Michigan is one of the largest submarines in the world. “We are looking forward to working with our [Republic of Korea Navy] partners and experiencing the Korean culture, which is a first for many of us,” said Gutierrez. Michigan is the second submarine of the Ohio-class of ballistic missile submarines (SSBNs) and guided missile submarines (SSGNs), and the third U.S. Navy Michigan to bear the name. Michigan is homeported in Bremerton, Washington and is forward deployed from Guam. Cmdr. Catherine McDonald, of Stanton. 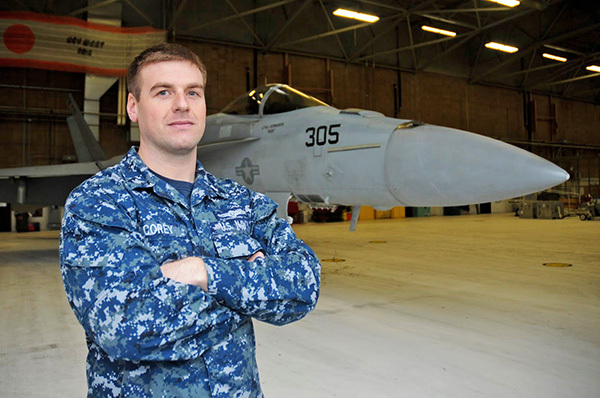 U.S. 5th FLEET AREA OF OPERATIONS—A 1977 Central Montcalm graduate and Stanton, Michigan native is a part of a Navy team tasked to protect the skies over the U.S. 5th Fleet area of operations. Cmdr. Catherine McDonald is a family nurse practitioner, at an expeditionary medical clinic. “I am providing medical services to multi service members here. We provide urgent, primary and preventative health care and coordinate emergency services with host ambulance services,” said McDonald. Within this undisclosed location in the U.S. 5th Fleet area of operations, sailors from all over the United States come together to form one unit, providing unparalleled support to multiservice personnel within the area of operations. These sailors, soldiers, airmen and marines work together to deter and counter disruptive countries, defeat violent extremism and strengthen security and stability throughout the region. 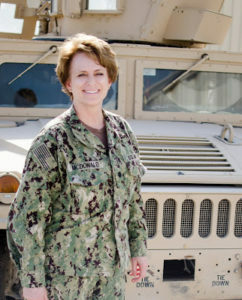 She is one of thousands of Sailors forward deployed to the Middle East in the U.S. Navy’s 5th Fleet. The Navy’s 5th Fleet’s area of operation encompasses about 2.5 million square miles of water area and includes the Arabian Gulf, Gulf of Oman, Red Sea and parts of the Indian Ocean. The expanse comprises 20 countries, including three critical choke points at the Strait of Hormuz, the Suez Canal and the Strait of Bab al Mandeb at the southern tip of Yemen. 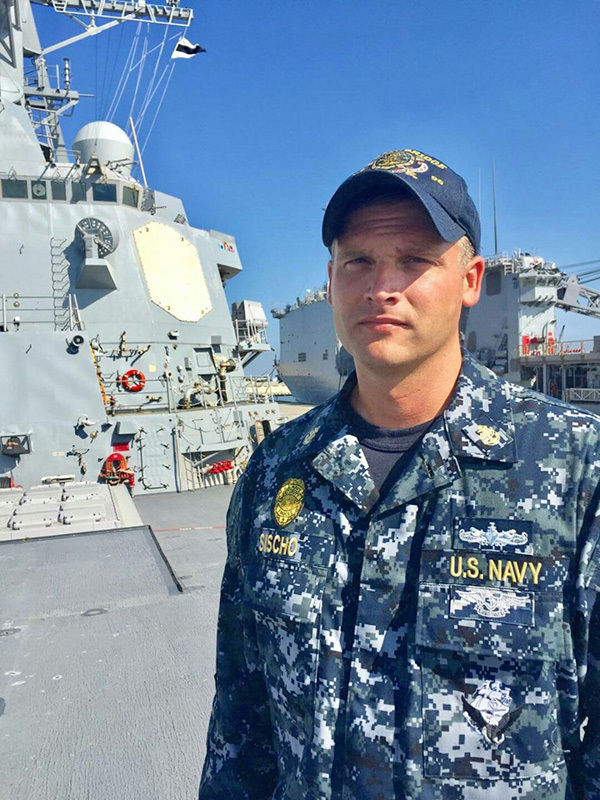 McDonald is receiving firsthand experience working in a foreign country alongside coalition-focused forces that are executing the full spectrum of maritime operations with foreign counterparts, to keep the world safe from hostile forces. 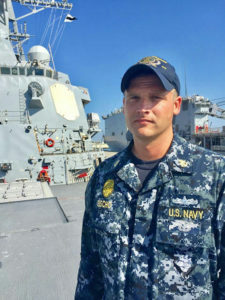 LEMOORE, Calif. – A Greenville High School graduate and Greenville, Mich. native is serving in the U.S. Navy with Commander Strike Fighter Wing, U.S. Pacific Fleet (CSFWP). Petty Officer 2nd Class Daniel Corey works as an intelligence specialist and operates out of Naval Air Station (NAS) Lemoore, California. Corey is responsible for updating and maintaining personnel security clearances as well as making sure that the command is adhering to physical security requirements. “As an intelligence specialist I enjoy the knowledge that comes with my job,” Corey said. “There are so many different types of intelligence that I’m always learning new things and expanding on the knowledge I’ve already learned,” Corey said. “Lemoore has been home to the Navy’s west coast strike fighter community since 1980, when strike fighter squadron VFA-125 was the first squadron established to train Navy and Marine Corps aviators in the F/A-18 Hornet,” said Vice Adm. Mike Shoemaker, Commander, Naval Air Forces. The strike fighter wing, headquartered at NAS Lemoore, ensures that each squadron is fully combat-ready to conduct carrier-based, all-weather, attack, fighter and support missions for the Pacific Fleet. 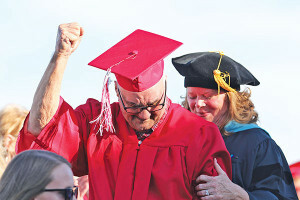 Erwin Duane Empie, 90, celebrates as he receives his diploma at the Cedar Springs High School graduation. Cedar Springs Superintendent Dr. Laura VanDuyn is next to him. Photo by K. Alvesteffer. A lot of things happened in the Cedar Springs area in 2016, but the story about WWII Veteran Erwin Duane Empie, 90, finally getting his high school diploma last June was one of the most heartwarming. Empie left Cedar Springs High School in 1944 at the age of 18 to enlist in the Navy and serve his country during WWII. He was a sophomore at the time, so never got his diploma. Erwin’s son, Mike Empie, got the ball rolling when he heard about Public Act 180 of 2001, which says that a high school diploma can be awarded to a veteran who enlisted or was drafted into WWII, Korea, or Viet Nam. He spoke with school registrar Susan Andrzejewski, who found Erwin’s transcript in an old box in the basement of the school, and verified that he had been a student. Empie then graduated with the rest of the Class of 2016 at Cedar Springs High School. The photo above, taken by photograher Kelly Alvesteffer, perfectly caught the emotion of the moment. 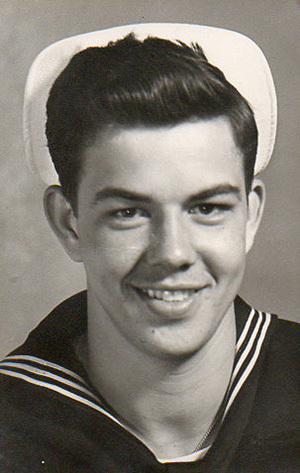 Seaman 2nd Class Erwin Duane Empie, left Cedar Springs High School in 1944 to enlist in the Navy during World War II. Erwin Duane Empie, 90, has waited a long time to get his high school diploma. But the wait will be over on Thursday, June 2, when he finally receives an honorary diploma from Cedar Springs High School—the school he left in the 1940s so he could serve our country during World War II. According to Erwin’s son, Mike, his father was originally born in Rossford, Ohio to Glenn Empie and Bessie (Smith) Empie. The family later moved to Cedar Springs. He had a brother Paul, and a sister, Marie. 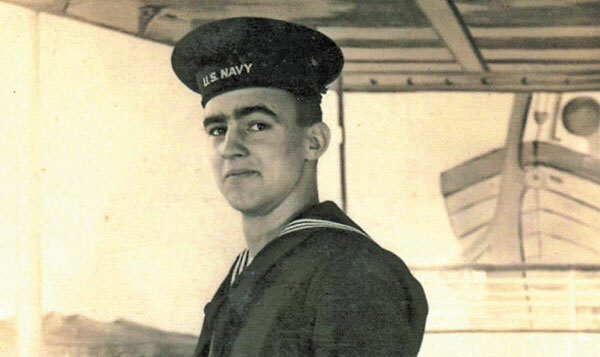 Erwin enlisted in the Navy in 1944 at the age of 18, while attending Cedar Springs High School. He trained at the Naval Training Center near Chicago, Illinois, and served aboard the USS Lexington CV-16. He was a gunner’s mate, and his rank was Seaman 2nd class, V6. Mike said the ship patrolled mainly in the South China Sea to strike against enemy shipping and air installations. Erwin served until 1946. In 1955, he married Dorothy Patrick. Erwin is eligible for the diploma under Public Act 180 of 2001. It says that a high school diploma can be awarded to a veteran if, before graduation from a high school, the military veteran enlisted in or was drafted into the armed forces of the United States during World War II, the Korean Conflict, or the VietNam war. Mike heard about “Operation Recognition,” (Public Act 181 of 2001) in a newspaper article, and checked with Cedar Springs High School about his father getting an honorary diploma. So it won’t be just 17 and 18-year-old students in high spirits when they get their diplomas at graduation next week. Erwin Empie and family will be celebrating, too. “He’s very excited,” said Mike. Congratulations, Erwin, and thank you for serving our country! A Cedar Springs man and his new wife helped out stranded motorists during flooding in Norfolk, Virginia earlier this week. And we mean really newly wed. Patrick French, a 2004 graduate of Cedar Springs High School, had just been married to bride Erica Placers a half hour on Monday, Sept. 8, when they began helping drivers whose cars had stalled during the flooding. Patrick is the son of Laura DeLange, of Cedar Springs. “It’s so like them to help others,” she said. The couple is stationed in Norfolk with the Navy. Thank you to the Virginian-Pilot for sharing their photo with us! 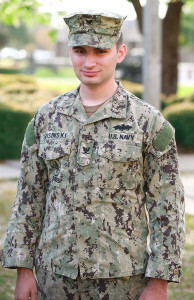 Petty Officer 3rd Class Jacob Wisinski, a construction mechanic, is a Navy Seabee assigned to Naval Mobile Construction Battalion 11. A 2012 Greenville High School graduate and Greenville, Mich., native boasts a unique distinction: that of serving in the Navy as part of a premier Navy engineer unit in the world today. 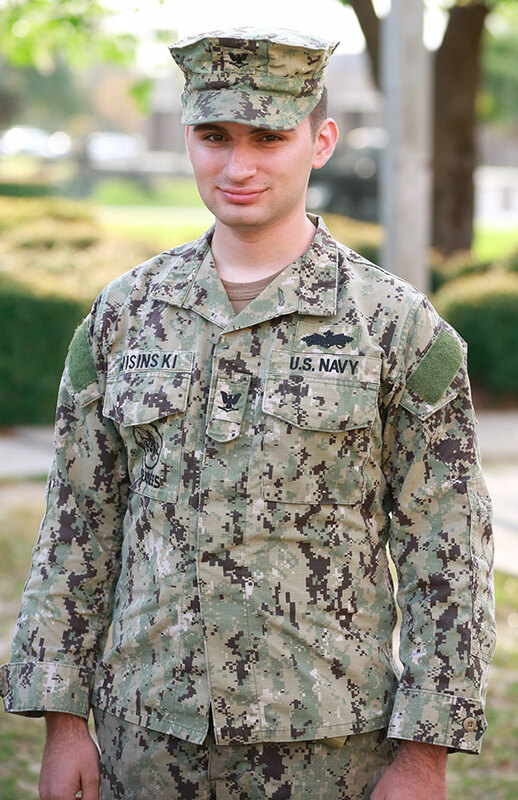 Petty Officer 3rd Class Jacob Wisinski, a construction mechanic, is a Navy Seabee assigned to Naval Mobile Construction Battalion 11 (NMCB 11), home-ported in Gulfport, Miss., and recently returned from deployment to Guam. NMCB 11 is a Seabee battalion specializing in advance base construction, battle damage repair, contingency engineering, humanitarian assistance and disaster recovery support to fleet and unified commanders. Naval Mobile Construction Battalions, more commonly known as the “Seabees,” are the premier military engineer units in the world today. Born out of necessity in the early days of World War II, their exploits are legendary. This legacy is carried on today by the men and women of the Naval Construction Force who build and fight. For over 70 years, the men and women of the Naval Construction Force have been deployed around the world around the clock and have defended America at all times. Wisinski and the rest of the battalion returned from their six-month deployment earlier this year, where they were in charge of providing engineering support to four combatant command areas of responsibility. 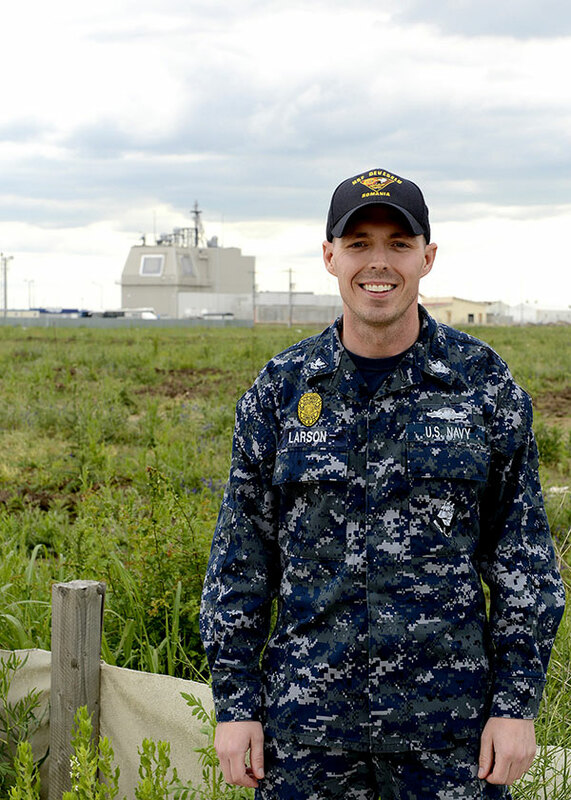 While deployed, Wisinski and the other Navy Seabees of NMCB 11 were responsible for executing a countless number of projects, ranging from security improvements to bases in Africa to the construction of a submarine support facility in Guam. Through concentrated planning and operations, Wisinski and other Seabees of NMCB 11 were able to assist the local population and add an unparalleled level of responsiveness and flexibility to our fleet and unified commanders in the area. When it comes to protecting and defending America, being there matters, and America’s Navy Seabees are already there.